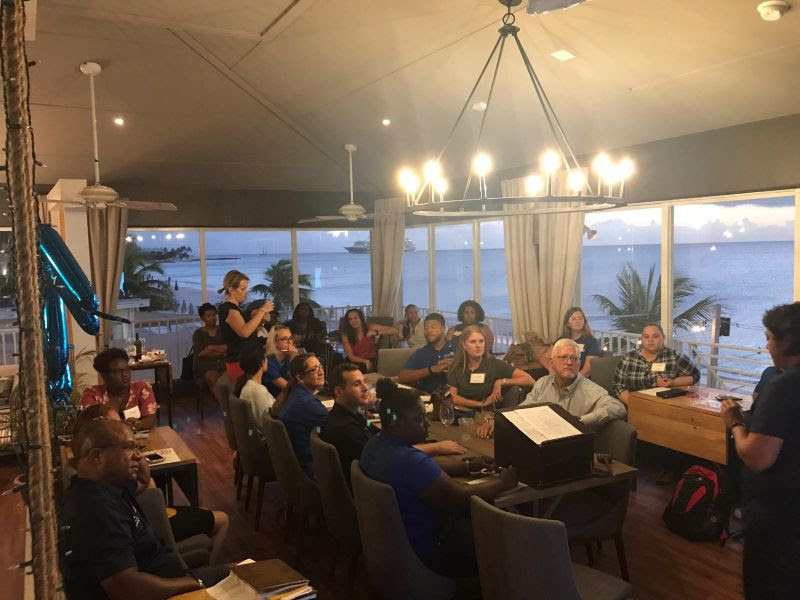 The Blue Crew began our jam packed World Rotaract Week with a takeover meeting of our Sponsor Club – Rotary Central Cayman Islands at their new (but original) location at The Grand Old House. We highly recommend a visit! 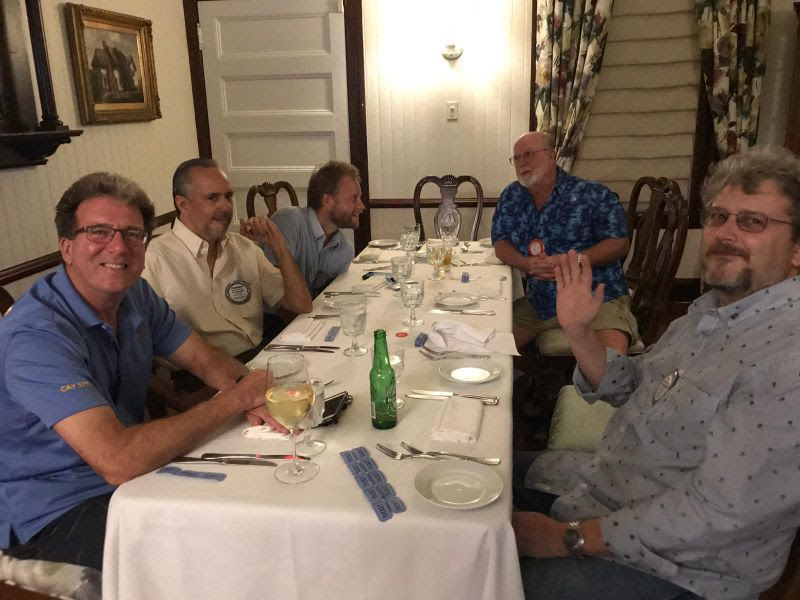 It was a very Blue meeting with an ice breaker (Chinese Whispers), VP Dona announced the mass induction that would be happening the following day and three Rotarians were presented with their Paul Harris fellows. Rotarians invest so much in Rotaract – it always feels special taking over their meeting and making them Rotaractors for the evening. Mass Induction - Seven New Members! 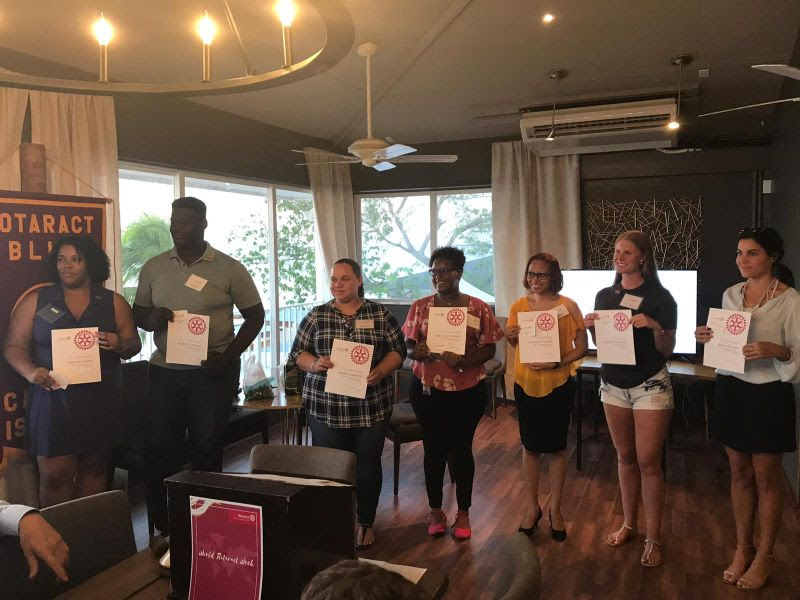 Rotaract Blue celebrated Rotaract’s 51st Birthday with a mass-induction of seven members to the club. 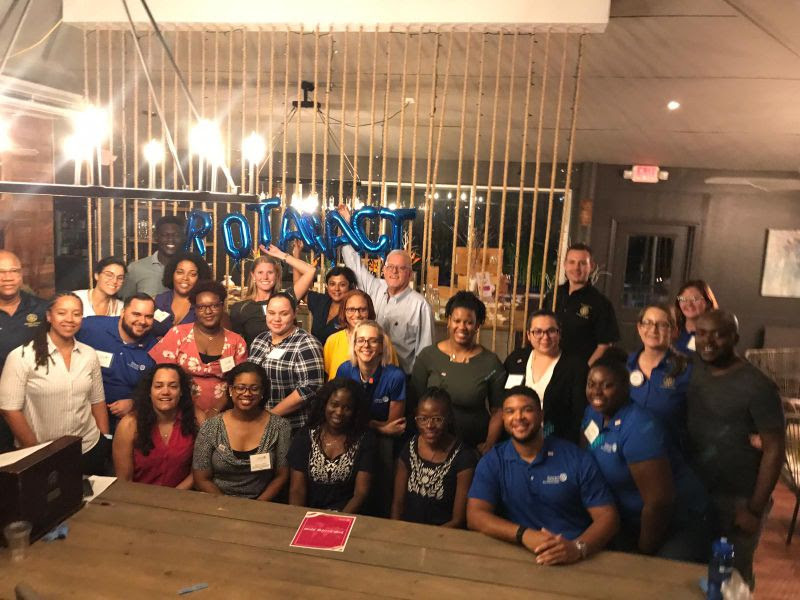 51 is a big birthday and the best way to celebrate is introducing more young people to the Rotaract Family. 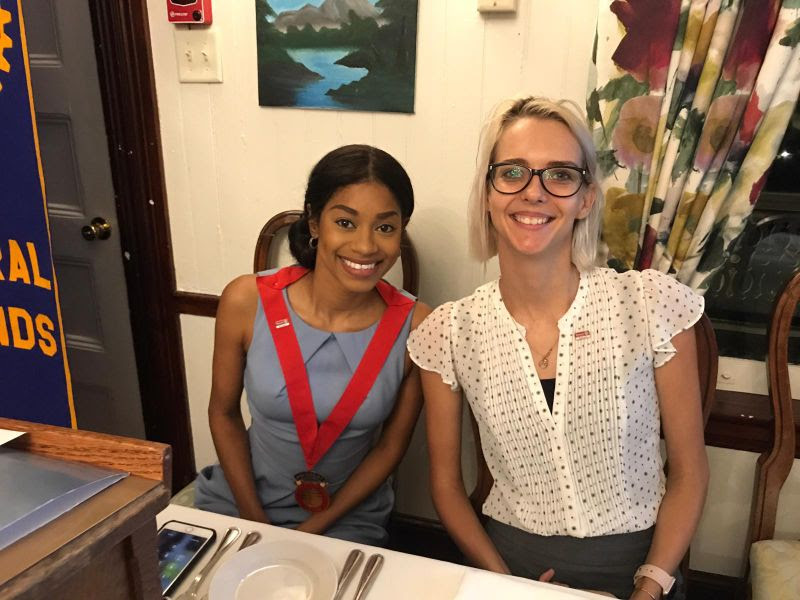 The Celebration felt so special with so many of our Rotary Family members present, and a lot of original Rotaract Blue members even came out to support! Brother Brandon... we mean Treasurer Brandon, led the ice-breaker with a Celebrity Guessing Game that definitely got the room going. 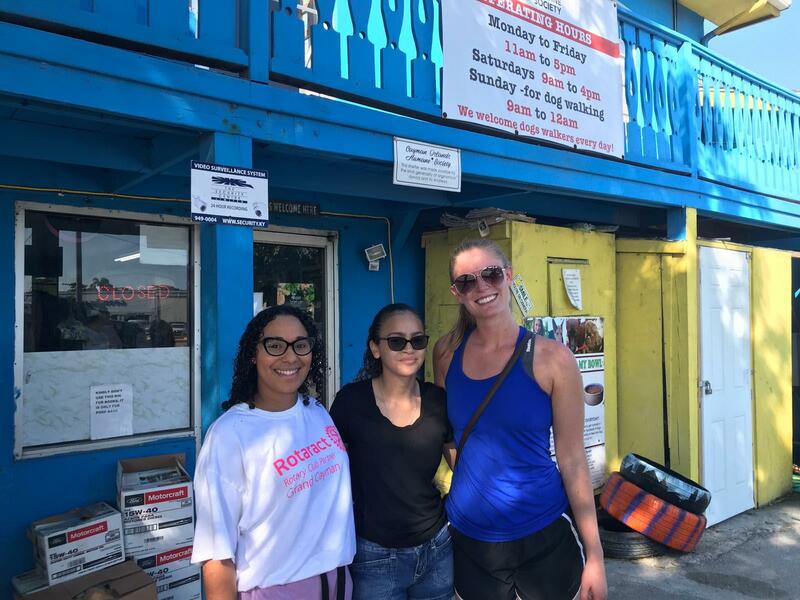 Chef Maureen Cubbon of BestLife Cayman also gave a healthy and delicious (it's possible we promise!) presentation on plant-based eating. It was the best way to celebrate Rotaract’s Birthday! 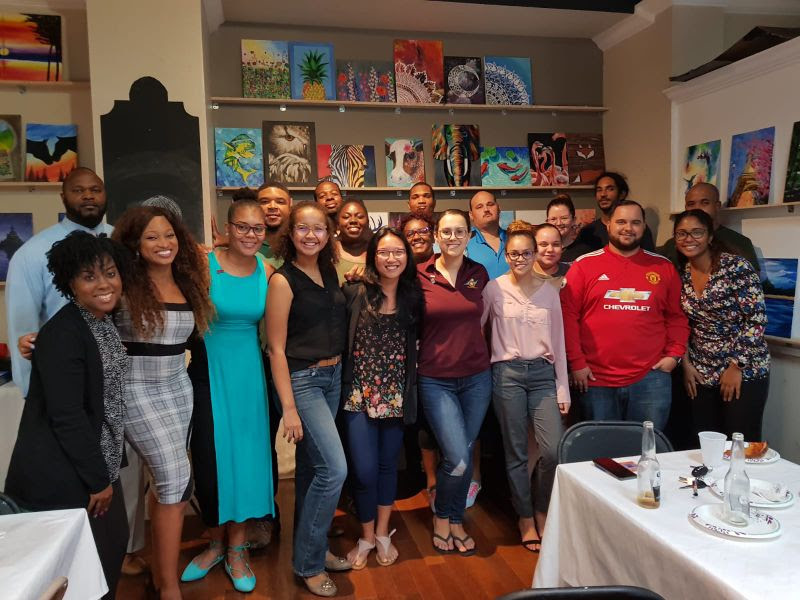 On Thursday, 14 March 2019, it was the most anticipated event of World Rotaract Week in Grand Cayman… the 2nd Annual Club Wars: Game Night! 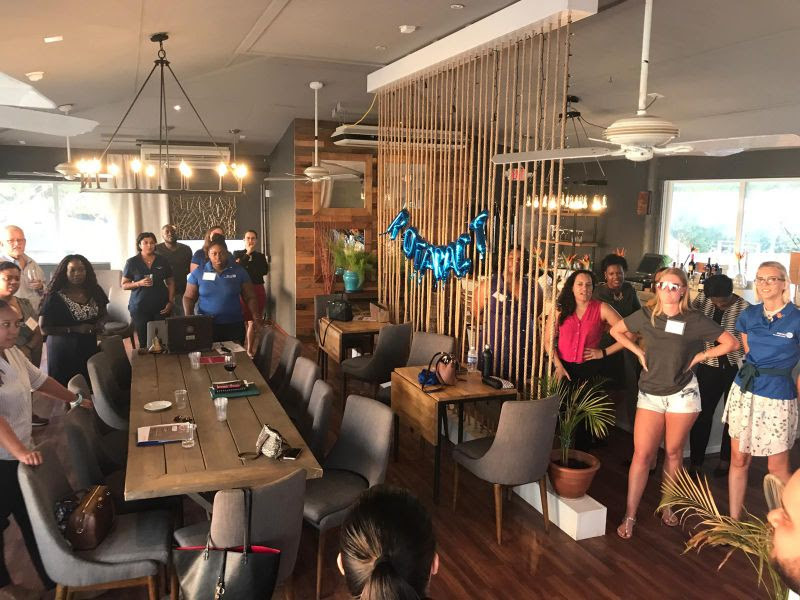 An annual event hosted by the Rotaract Clubs in Grand Cayman - we got to have food, fun and fellowship before an intense game of Werewolf. 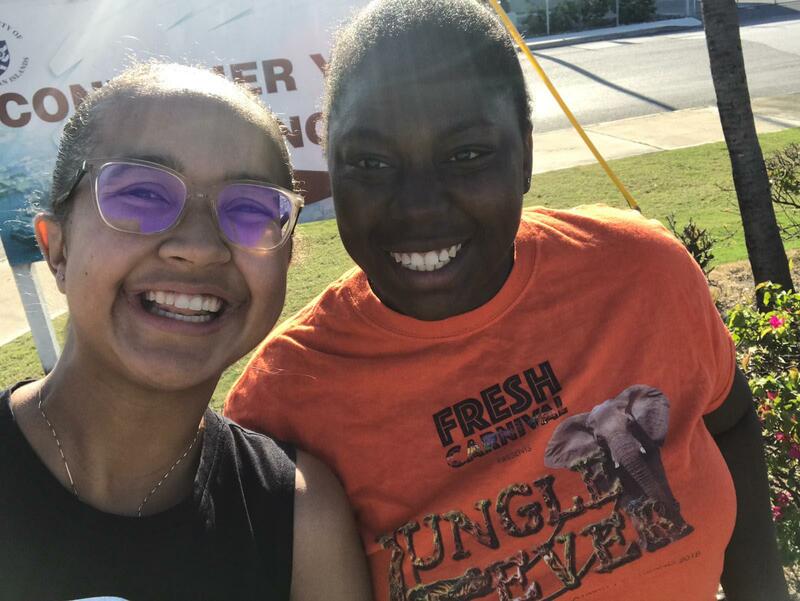 Club Service Director Ally from Rotaract Blue and Club Service Director Addie from Lil RCGC showed us that for planning, teamwork really does make the dream work for a great event! 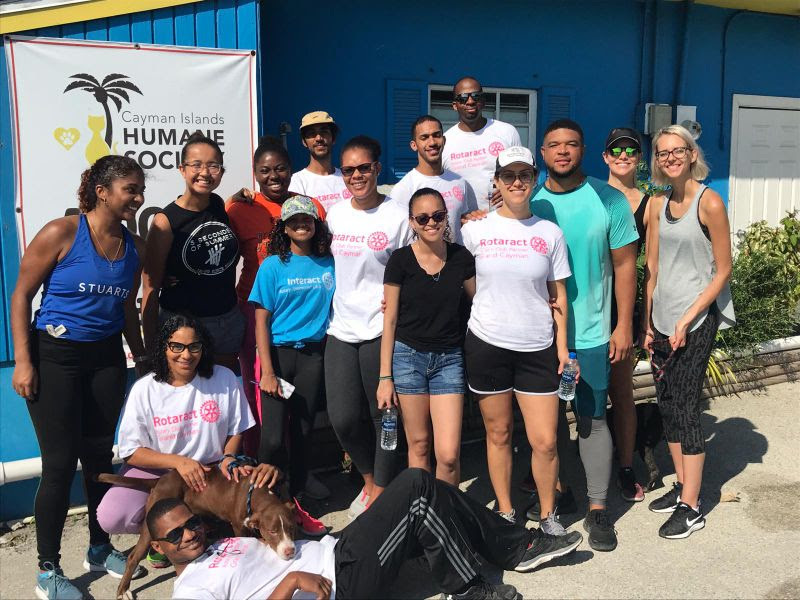 Rotaract Blue and Lil RCGC finished the incredible week with a Service Saturday walking dogs at the Cayman Islands Humane Society with the Interact Club of Grand Cayman. 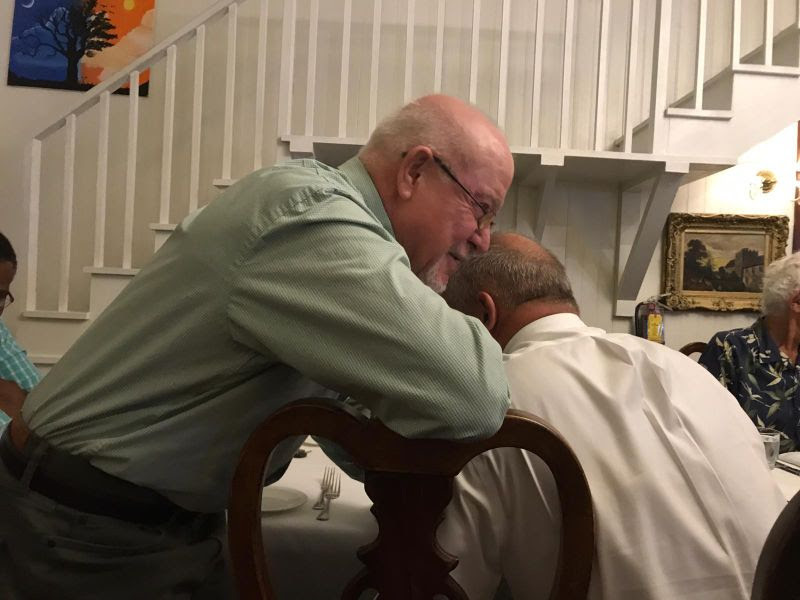 The week reminded both clubs how important it is to get together as District 7020 and sibling clubs and help make the world a better place.